You may be thinking, “Oh no, not another gift guide”, but I have been inspired by Z Recs, The Not Quite Crunchy Parent, and Treehugger to create an Eco Child’s Play Green Kids Holiday Gift Guide. The following recommendations are highlights of our product reviews over the past year (click on the title of each recommendation to get to the full review post). All of these products have been played with by my family, thus these are not the gifts I am getting my children this winter, as these new toys have not been tested. Some of these products are made in China, but I feel that the company that makes a product is more important than where the toy is made for safety and ethical issues. Is a toy made in Thailand any better if the company is not environmentally and socially responsible? Furthermore, if your family is avoiding Chinese products due to the country’s human rights violations, then boycotting US made good may also be an ethical choice for your family. Klean Kanteen Sippy Cup: I was so excited to have found a non-leaching, safe sippy cup made by Klean Kanteen , the stainless steel alternative to plastic. Klean Kanteen makes the best stainless steel water bottles. They are odor free and do not taste like metal. We have tried other stainless steel bottles that smell horribly and are lined with epoxy. Plastic/polycarbonate bottles leach bisphenol-A (BPA), a chemical that mimics the hormone estrogen, and can cause chromosomal abnormalities. Recycled Tire Horse Swing: This toy is expensive, but I feel it is well worth the money and a great gift to request from grandparents. 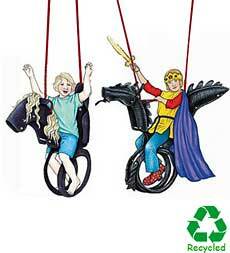 Magic Cabin’s Recycled Tire Horse Swing is great fun! My daughter loves to play on this recycled toy! We have tied an additional rope to it, so that another child or adult can pull the horse back and forth. Another favorite activity is to twist the horse round and round, then let go and spin yourself dizzy. The toy is rated for ages 3 and up and for up to 200 pounds. I can’t say that I have tried to ride it, but maybe I should now I know it can hold me (but can the tree branch?). This is the coolest recycled tire toy I have ever seen. Magic Cabin Dollmaking Kits: Waldorf dolls typically are very simple, allowing your child’s imagination to fill in the details. 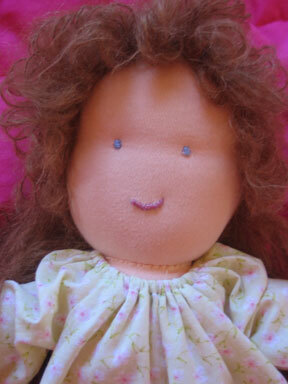 The natural materials and soft wool stuffing, make this doll far superior to plastic ones. My daughter really appreciates this doll, and it has become her favorite one, replacing other Waldorf dolls we have purchased. She is old enough to appreciate the doll is handmade with love, and she showered me with compliments when I was sewing. She was amazed her mommy could create such a lovable toy, thanks to the Magic Cabin Doll Kit. 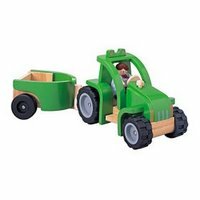 Wooden Vehicles from Plan Toys: Our family has several Plan Toys wooden vehicles, and I have purchased many of these toys for my preschool program. Both my daughter and son play with these daily, and I feel good that they are playing with safe toys. 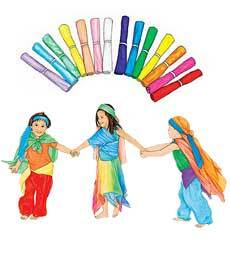 The toys are durable, and unlike other wooden toys we own, I have never had to repair our Plan Toys. Plan Toys uses chemical-free rubber wood to produce their toys. These trees are at least 25 years old, and thus have stopped producing latex. Rubber wood farmers traditionally fell these trees and burn them to produce charcoal, in order to clear the land for replanting. Plan Toys increases the value of these trees by using them to produce their beautiful line of wooden toys. Under the Nile Organic Teething Toys: Chewing on plastic toys may be harmful to children, so what are the alternatives? All young children explore new toys with their mouths and chewing/biting relieves some of the teething strain in infants. What your child puts into their mouth is very important, and Under the Nile offers organic fruit and vegetables toys that are perfect! 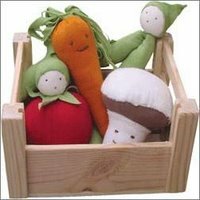 The fruit and vegetables can be purchased individually or in a group crate. Made in Egypt of organic materials, you do not need to worry about your child placing this toy in their mouth. 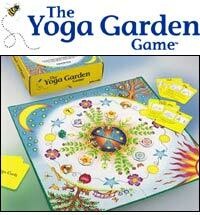 Yoga Garden Game: Our family’s first adventure into cooperative games was the Yoga Garden Game. 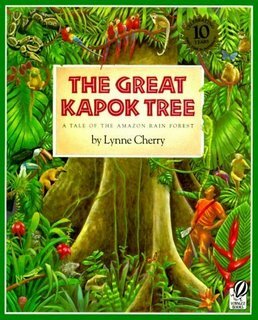 My daughter and I started playing this game when she was three years old, as she had shown an interest in yoga. In the Yoga Garden Game, players work together to plant the flowers before nighttime falls. Players take turns rolling the dice to move a bumble bee around the circular game board. Depending on where you land, you get to plant a flower, put a nighttime piece on the board, do a yoga pose, or make up your own asana. The Yoga Garden Game offers a unique way for children to learn yoga in a cooperative game. 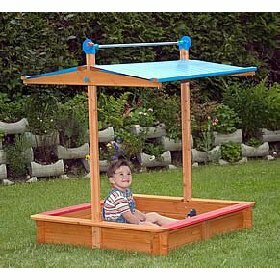 Austrian Sandbox: We live in a small cabin, so when grandparents want to buy the children something big, outdoor toys are great. The Austrian Sandbox is one such gift we have thoroughly enjoyed. Children love to play in sand, and such sensory experiences are good for their development. They can explore all kinds of physical concepts while playing in the sand. The Austrian Sandbox is made of sustainably harvested and certified spruce and comes with a vinyl cover. The cover can be cranked up to provide shade for children and protection from the sun or light rain. When the cover is lowered, the sand inside the box is protected from wandering animals that may want to use if for a litter box. The sandbox is large enough that four children can comfortably play inside it. 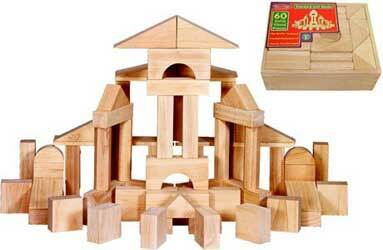 Wooden Blocks: Every child deserves a good set of Standard Unit Blocks! Blocks are perhaps the quintessential toy for child development. Creative play and imagination abound when playing with natural toy blocks. If you buy your child a toy car, the toy car is always a car. If you give your child blocks, a block can be a car, a train, a telephone, a bed, etc. The only limits are your child’s imagination. Holiday gift giving in this country is usually excessive, so to have a truly green holiday, try buying less and giving more homemade gifts or gifts of your time. Promising your child some special one-on-one time doing a craft or going for a special hike makes a nice stocking stuffer and ensures we will take time out of our busy lives for our children. For example, my daughter created a special dance for me as a gift for my birthday this year. Looks like some great choices above. We invite you to check out the TickleMe Plant! The plant that MOVES when you TICKLE IT! Even the branches droop when Tickled. It’s becoming a popular gift from a Grandparent to Grandchildren. The gift of growing a TickleMe Plant from seeds is never forgotten. May I also suggest giving kids a class or experience? Your kids will broaden their experiences while not adding to consumerism. Every Christmas and birthday my parents give my kids a class instead of a toy. The toy will be broken and forgoton about soon, by the experience of a new class will stay. For the kid’s last birthday they both received rock climbing classes. For Christmas they will be receiving ice skating classes. Shhhh..Don’t tell them. Hi , i am looking for gift ideas n there are so many of them , so much so it leaves me confused and undecided what to get – maybe you would like to visit my website – happy holidays . Another alternative gift is our “Kid’s Kit to Save the Planet from Plastic Bags”. The kit contains an illustrated educational booklet about oil and plastic, and gives ideas for how kids can save the planet. Two organic fairtrade cotton bags, Crayola non-toxic (not from China) fabric paint pens all packed in a bioplastic bag made from corn. Kids decorate their bags with messages about how to save the planet, and their grownups can take them to the store and show off their creative kid’s artwork!